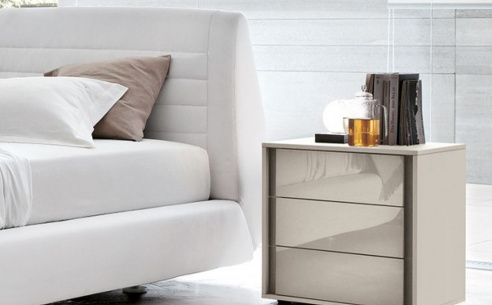 VIP Cristal is an elegant range of products designed and made in Italy. Available in a choice of finish colours this 5 drawer tallboy chest would be a great addition to any bedroom. 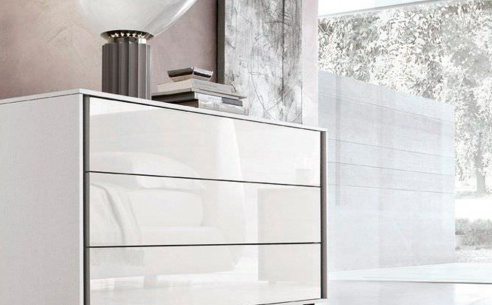 The structure of this product has a matt finish with the front of the drawer finished in a gloss lacquered glass. This product doesn't have protruding handles, instead, you use the inserts at the edge of the drawers to open them.